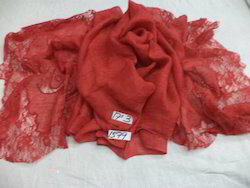 We have a good collection of 100% pure Linen and Linen with other blends stoles and scarves.we have good collection of spring summer collection all the time with new color concept of lace applique in both solid and ombre shaded colors.we have also linen screen print as well as in digital prints and we can customize your designs and colors on programme basid orders. we make following sizes in Linen. 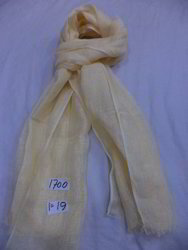 We offer you 100% pure Linen in ombre shaded and solid color scarves in 55x180 cms in assorted colors and designs.Always available in stock in assorted colors and designs. 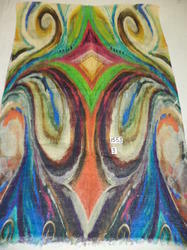 can be made in 70x200cms on order basis as per order of buyer. We offer you pure Linen with shaded ombre stoles in assorted color in 70x200 cms.Always available in stock in assorted colors and designs. We offer you pure linen stoles with digital print in modern,distracting,floral,animal print,ethnic prints and in paisley designs. 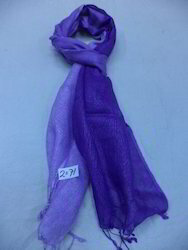 We offer you Linen/cotton with lurex scarves in assorted color and size to our clients. We offer you 100% pure Linen solid color stoles in Assorted color size 70x200 cms.Always available in stock in assorted colors. 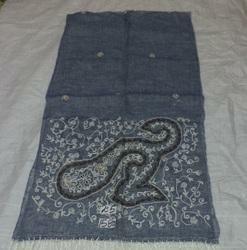 We offer you pure linen embroidered scarves in assorted colors and designs.